Pat Rooney has over 15,000 hours and 17 years of flight instructor experience in 5 different Air Force aircraft–including 700 hours of single engine instruction. He also pilots 767′s internationally for a major airline. Twenty-two of Pat’s 45-years as a pilot were in Air Force service. 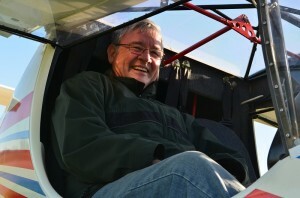 Pat Rooney has been teaching new pilots how to fly for more than seventeen (17!) years. You don’t get to do this for that long, if you don’t do it right. Maintenance: We are very proud of the fact that all of our aircraft well maintained and in excellent condition. Engines and Airplanes are important, but so are instructors. Our small team of experienced instructors carefully maintain the strictest standards in your training. Location: Sundowner Aviation is conveniently located at Fairfield County Airport in Lancaster, Ohio. Our airport has all of the amenities, but has much less traffic than other local fields such as Port Columbus (CMH). That means you spend less time waiting for things, and save money in the process. Less traffic also makes it a little less stressful while learning the basics.